We’re not really jealous people, but every once and a while, someone has the opportunity to do something so incredible that you can’t help but be envious. 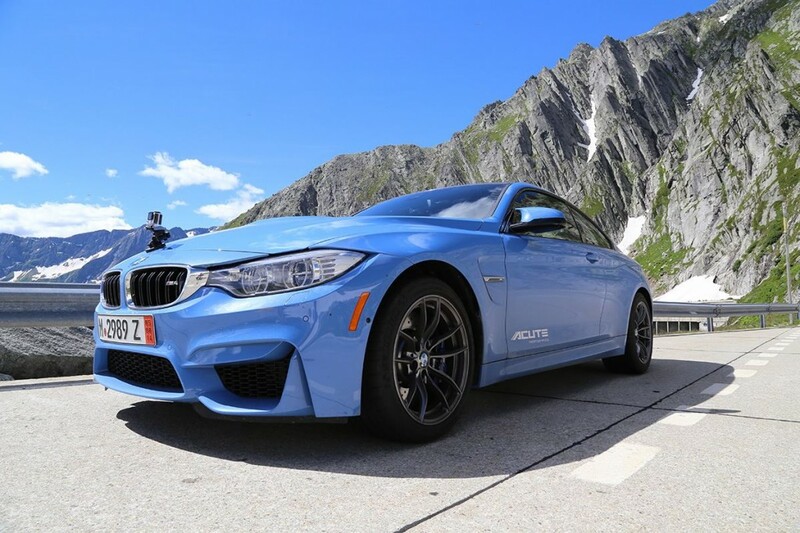 Our Friend Michael Hsu of Acute Performance is overseas right now, driving the absolutely incredible Gotthard Pass in Switzerland, taking European Delivery of his brand new 2015 F82 BMW M4, in Yas Marina Blue, my personal favorite color for the car. It’s truly one of those “Bucket List” experiences. BMW’s European Delivery program, by all accounts I’ve heard, has been fantastic. Seeing just a few photos from this incredible experience, I have to believe that. 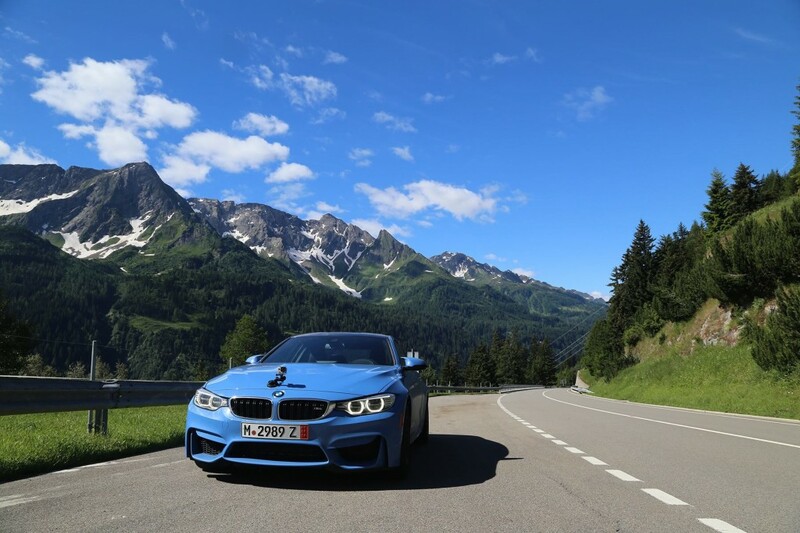 The Yas Marina Blue is a perfect match for the positively incredible mountain passes of Switzerland. If I found myself in this situation, it’d take quite a bit to convince me that it wasn’t actually some amazing dream. Looking at the pass, it’s hard to imagine a more perfect car for the occasion than the F82 BMW M4. 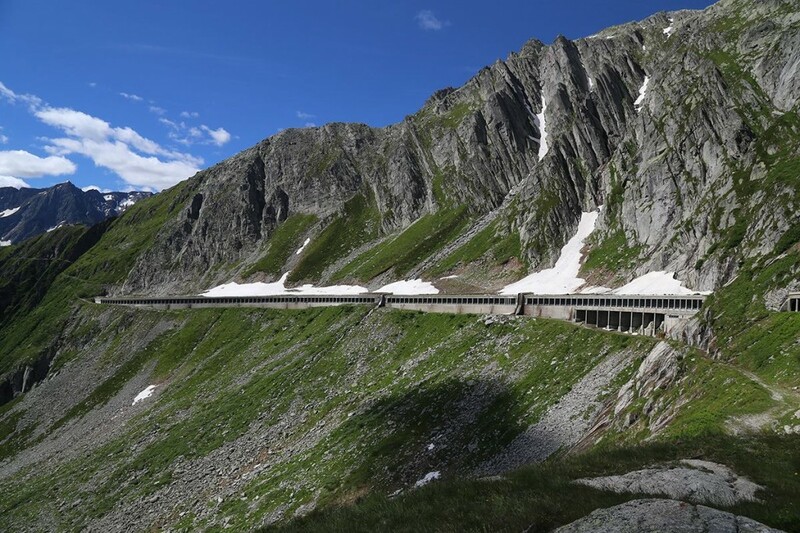 The snow gives a sharp contrast to all the greenery surrounding it. It reminds me of my own experiences in the beautiful ranges of Utah around Park City, only better. The grass really IS greener on the other side of the pond. 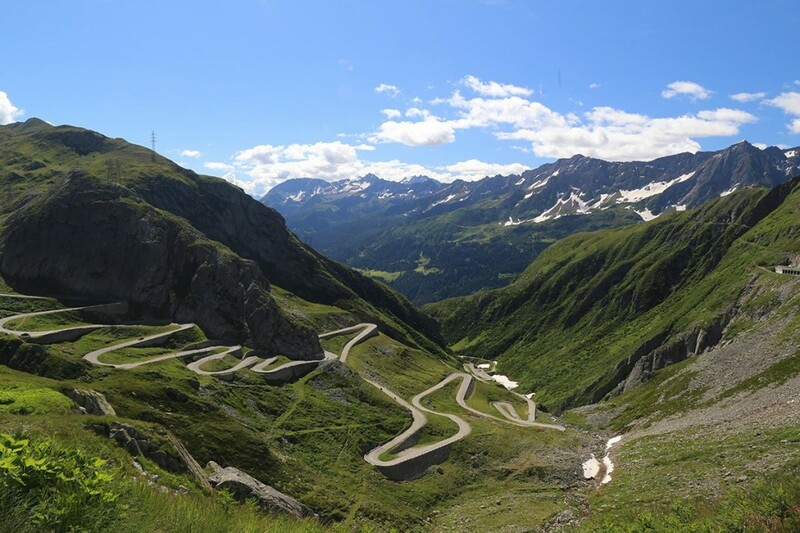 Huge thanks to Michael Hsu at Acute Performance for letting us share these breathtaking photos with you – I can’t imagine a better way to start your love affair with your new BMW than enjoying it on incredible roads like this and the outright speed of the Autobahn. Once he comes back stateside, yes he’ll have that M4 for a while, but Micheal will always have a fantastic story to tell about the experience. Should you be taking delivery stateside, there’s still lots of great roads to enjoy right here at home, like the famous Snake of Mulholland, Mulholland Raceway – or my personal favorite, Glendora Mountain Rd – and there’s always Tail of The Dragon if you’re on the other side of the states. The M4 is a darn fine car right out of the box, but should you want to change it up with new wheels for F82 M4 or pull even more power out of it, you can get your BMW M4 upgrades right here at ModBargains; our Modification Experts already have fitment specs to recommend the perfect set of Forgestar or HRE Flow Form wheels for your M4; Call the Mod Experts today at 714-582-3330. Be sure to check out Michael’s website, Acute Performance and give them a like over on Facebook too. What’s In The Shop: E92 M3 – Forgestar F14 – KW Suspension.